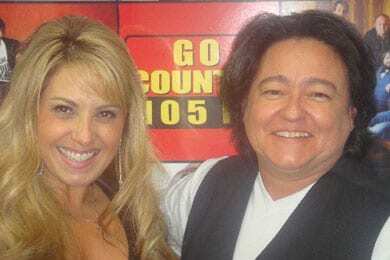 It Is What It Is/9North artist Lisa Matassa recently visited with KKGO/Los Angeles to promote her new single “Wouldn’t You Like To Know.” (L-R): Matassa, KKGO PD Tonya Campos. Anyone still awake out there? 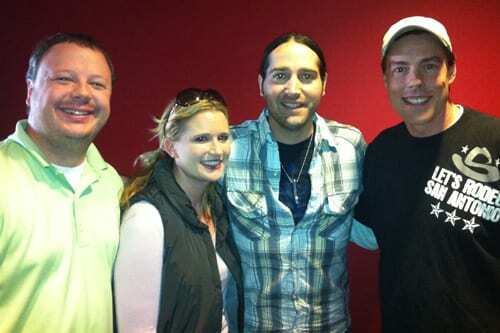 It’s the final day of Country Radio Seminar 2012, but there’s still plenty more to come. Thank you again to everyone who came out to MusicRow’s CountryBreakout Awards gathering on Tuesday, Feb. 21. We had an absolute blast and couldn’t have done it without you. Even though it’s CRS, our CountryBreakout chart doesn’t take a break except for the last couple weeks of December. As you might expect, there are more frozen playlists than usual, since many of our reporting stations are here in town to party learn and network. It’s definitely a slower chart, but if your last name is Aldean, Bryan, or Church, it’s still a good week. Aldean’s “Fly Over States” is leading the bunch at No. 23, with Church’s “Springsteen” up to No. 25 after three weeks. Bryan’s “Drunk On You” actually gained the most spins this week (with 278) and moves inside the Top 40 at No. 38.